The Council has formally adopted new contract law rules that will help consumers be confident when buying online and give businesses harmonized aftersales conditions throughout Europe. Digital Single Market Vice President Andrus Ansip said: “This is excellent news for consumers and ecommerce in the EU. 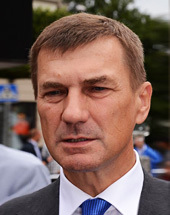 The US has been investing a lot of energy and time attempting to prove the value of banning Huawei, but it seems a failed quest as the European Commission readies itself to rule out a ban – writes , Andrus Ansip, European Commissioner for Digital Single Market, will unveil new plans tomorrow (Tuesday 26).